Using glass as a decorative element can make your home feel Spacious In addition, the glass can reflect light, thus making your home brighter interior. In addition to creating a more spacious home, of course, will be more beautiful home interior. Make your dining room more beautiful and unique. Put a glass without a frame in the middle of your dining table. Choose a glass that is usually used in the room or closet door. After that, stacking translucent glass vase with flowers on it. To make room in your home feel bigger, put the glass in the corner of your room. 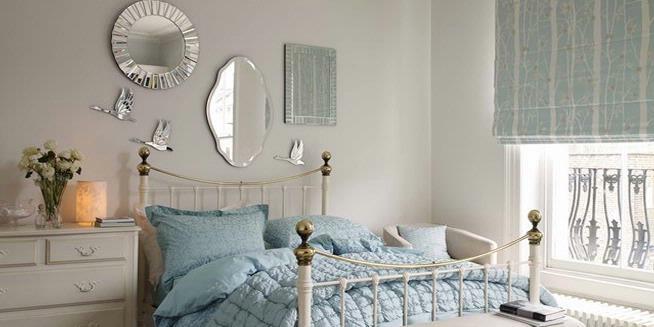 Try using a glass three-quarters in size of the bedroom wall height. You can leaned on the glass wall or hang it. 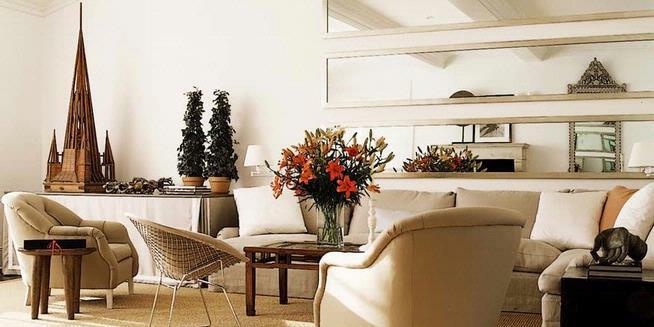 Mix well decoration “corner room” with floor lamps (standing lamp), as well as gorgeous sofa reading. If large glass does not appeal to you, you can try this way. Choose the glass in a variety of different sizes and types of frames. After that, grouped in the same wall surface. This way, you can create the look of “collector” classy and unique. Few tips for you, a bunch of glass may appear more attractive with dark colors like dark brown walls. If you are a fan of aromatherapy candles, you can put the glass behind the candles arrangement. Glass can reflect light dim glimmer of candles. It is able to evoke the mood in your room. Put the glass in the window of your home. In this way, the glass is able to reflect on what is outside the house. Not only makes the room look bigger, the illusion of another window in the room was also able to provide “extra lighting” in the room.